This even is dedicated to the 100th anniversary of the First World War. PRAVMIR. 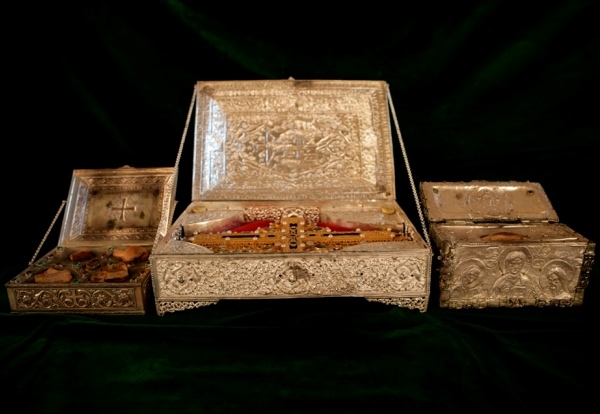 The relics of Serbian saints and a part of the Holy Cross from the Serbian monastery of Chilandar (Mount Athos) will stay at the Novodevichy Convent of St. Petersburg from June 2-4. The Serbian sacred objects have been brought to St. Petersburg in honor of the 100th anniversary of the First World War, which united the Serbian and Russian people. Organizers of the event are the Charitable Foundation “Mt. Athos Offering” and the brotherhood called “Sons of Mt. Athos.” The purpose of their activities is to unite Orthodox Christians, regardless of ethnicity, nationality, political opinion, and national borders. Earlier the sacred objects could be venerated in the city of Vladimir.